Apr - 17 | By: POWFest | no comments. Portland Oregon Women’s Film Festival (POWFest), the Hollywood Theatre and NW Documentary are excited to announce “A Night with Barbara Kopple and Ellen Ratner,” taking place Friday, May 4th 2012. The evening includes a reception; director’s screening of A Force of Nature; and a live Q&A with Academy Award ® Winning Director, Kopple, as well as the subject of the film, philanthropist, Ellen Ratner. 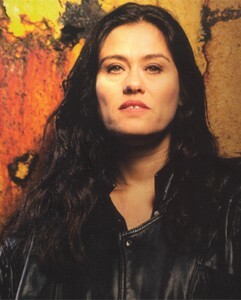 Barbara Kopple is a renowned advocate of social justice and director of documentaries, as well as narrative TV and film. She has received two Academy Awards for Best Documentary Feature for her films Harlan County USA (1976) and American Dream (1991). Her long list of achievements include, among many others, producing and directing Shut Up and Sing, which tells the story of the Dixie Chicks and their response to the political fallout they faced after making comments critical of President Bush on the eve of the Iraq War; A Conversation with Gregory Peck, a film portrait of the career and family life of the actor; Defending Our Daughters, an investigation into women’s human rights issues in Bosnia, Pakistan and Egypt and winner of a Voices of Courage Award; Fallen Champ, which covers the early (and most fascinating) portion of boxer Mike Tyson’s career. Kopple’s most recent project is the documentary A Force of Nature, a film that celebrates the life and work of journalist, White House Correspondent, Bureau Chief for The Talk Radio News Service and philanthropist Ellen Ratner, following her from her home base in Washington, DC, as she dedicates her spirit and strength towards progressive causes – from helping hurricane-ravaged Katrina victims in Mississippi, to speaking with enslaved people throughout war-torn South Sudan. It is the inspiring story of how one unapologetically committed person can make a difference and help others do the same. “This film is important because it shows the power one person can have in changing the life of another in this world, and given the challenging times we are living in, we all need to know how influential we can be. It is a tremendous opportunity for local citizens to be inspired by these two incredible women and hear their stories personally,” said Tara Johnson-Medinger, Executive Director of POWFest. The event kicks off with a reception from 4:30-6:30 pm at Magnolia’s Corner (directly across from the Hollywood Theatre), A Force of Nature film screening at 7:30 pm, followed by a Q & A with Ms. Kopple and Ms. Ratner; moderated by Carl Wolfson host of Carl In The Morning (6-9am) on AM- 620 KPOJ. The event will conclude with a special POWFest Classic screening of Harlan County, USA at 9:15pm. The event will take place at Portland’s historic Hollywood Theatre located at 4122 NE Sandy Blvd. Tickets for the event are $35 (reception, A Force of Nature screening and Q&A) and $10 (A Force of Nature screening and Q&A only), tickets for Harlan County, USA are $5 each and can be added to the above tickets at purchase. Tickets can be obtained at www.powfest.com, as well as the Hollywood Theatre box office. For more information, go to www.powfest.com. Tickets sales will benefit POWFest, the Hollywood Theatre and “Goats for the old Goat” an organization to fight hunger in South Sudan established by Ellen Ratner. Sponsors for the evening include The Faerie Godmother Family Fund, ADi, PayDogs, Magnolia’s Corner and The Documentary Channel. POWFest showcases the art and cinematic contribution of women directors from around the world. By providing a platform to exhibit the work of today’s top women directors, POWFest is helping to create opportunities for women working in all areas of the film industry. By honoring female pioneers in film, we provide the support and recognition necessary for the next generation of leading women filmmakers. In the past five years POWFest has hosted four prominent and very accomplished women directors: Allison Anders, Irene Taylor-Brodsky, Kathryn Bigelow, Gillian Armstrong and Amy Heckerling. The NW Documentary Film Series is a new monthly documentary series created by the Hollywood Theatre in partnership with NW Documentary, Portland’s center for documentary storytelling since 2003. Each month NW Documentary will bring a new documentary to Portland audiences, complete with panel discussions, Q+A sessions and workshops with visiting filmmakers. A focus is put on engaging storytelling and masterful filmmaking. This series is generously supported by our Presenting Sponsor the Documentary Channel.